In our previous chapter, we discussed a bunch of optimistic ideas about creating exciting WordPress SEO content. You’re probably excited right now, thinking of a hundred and one different angles to go with, so you can create your own archive of great WordPress SEO content. There is one problem though. This isn’t 2008 anymore. 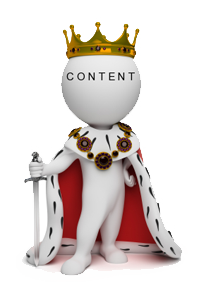 Content may still be king, but there are more rules dictating what is and what isn’t good writing that many WordPress websites are caught off guard when they are penalized or underreported in SERPs by popular search engines. By now you understand that there is clearly a difference between spam and coherent writing. Good SEO writing captivates the reader; spam annoys the reader. Simple enough, right? Except you’re not the one who decides what is good SEO writing, and neither is your customer. The searching engines, Google, Bing and others, determine for you whether you’re writing at a prime level or if you’re just another spammer polluting the Internet. Consider more search engines standards specifically relating to the quality of SEO content you’re producing. Good content is about 300-500 words per page minimum, and the longer the better. Shorter articles with minimum content are usually not searched when competing with longer text sites. Grammatical and spelling errors are no longer tolerated since the net is hardly considered amateur at this point in 2014. If there are no errors then a “quality signal” is sent to the search engine. Granted, not every site is perfect (and even respected news sites occasionally make errors. However, if every other word is misspelled or there are multiple grammar issues in one article, don’t expect the same support from the search engine, which is looking to sponsor professional work. Outbound theme linking is a hot issue right now. In turns out that search engines are far more sophisticated than readers might think. They can now detect why you’re linking out to certain websites, and detect “relevancy”.They reward relevancy and either penalize or ignore links that are unrelated. There is more of an emphasis on citing references and sources online in recent years, as this is just standard procedure in news articles and academic studies. In contrast, amateur WordPress websites tend to speak in generalities, without giving any detail as to the who, what, where, why and how. Furthermore, authoritative sources are respected. News-listed sites such as Google News, as well as PR Web-sponsored press releases also receive higher rankings than other sites. Search engines can typically spot “spun” content, which is autogenerated and doesn’t make a lot of sense intellectually. It is a sentence based off of a sentence using a basic thesaurus tool. Spinning content or mimicking this poor style of writing can result in a penalty. Excessive keyword decoration can also result in penalizing, since certain keyword phrases like “good strategies for SEO” are not meant to be used as adjectives. Therefore, typing “Are you looking for good strategies for SEO marketing?” is an unnatural phrase and will raise a red flag to the search bot. This is true not only of entire websites but even individual pages. Sites like Google are outspoken about the fact that they are looking for new content; content that is brings some unknown factor to the table besides just peripherals and generalities. If a user doesn’t learn anything new about a subject from the text, or if this is information the user can learn about just using a basic encyclopedia site, that content might not be ranked very high. There is nothing “useful” in the well written article, which poses a problem. Google (and to some extent Bing as well) are intent on improving their algorithm’s “artificial intelligence”, at least when it comes to recognizing quality writing. For instance, Google is now able to estimate the reading level of webpages, based on use of language. The search bot can tell if the article is written for educated adults, teens, or very basic elementary school level audiences. This will also determine search ranking potential, as Google wants to be able to match the best page results with the user. Depending on such information as the keyword phrasing, as well as demographical content of the user, the SERPs may change. Additionally, many people still fail to appreciate that Google’s “bot” isn’t the entire industry. They still employ human editors that manually penalize or promote WordPress website pages that follow the rules and produce interesting and useful content. What useful information is included on this page? What will readers find here that they can’t find somewhere else? What research went into the making of this article or copy page? Does this page highlight the keyword issue or is it just highlighting the writer? Is there enough quality text to justify an entire page? Even “funny” press releases are more valued than typical promotional stories, because readers simply don’t care about promotion. They want something of interest to their own lives. So we’ve discussed the fine art of quality SEO writing for a while now. It’s not really something you’re born with, but it is something you can learn. And even if you have no great writing talent, you can at least outsource the writing to an experienced writer, marketer or SEO firm. Now we’re going to switch the focus slightly for our next chapter and discuss keyword marketing and research. Most everyone knows how keywords work and how WordPress SEO Content is basically the fine art of grabbing the attention of Internet users with keyword-rich articles. However, what has changed over the last 10 years of intense Internet competition?